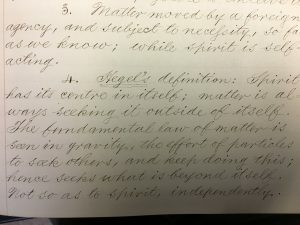 Of further interest are the notes of Smith’s own students at Union in the 1850s and 1860s, which were used in the posthumous publication of three volumes of Smith’s lectures in systematic theology. Even a quick perusal of the pages reveals that Hegel and other German thinkers are not absent from Smith’s work, but their appearance here alongside a broader swathe of philosophers (including English and French thinkers, from David Hume to Auguste Comte) reveals both Smith’s own erudition and the space of interaction into which he carried his German education. [x] All of these intellectual currents are addressed within the broad gaze of Smith’s theology. [i] See the recent article by A.G. Aubert: “Henry Boynton Smith and Church History in Nineteenth-Century America,” Church History 85, no. 2 (2016), 302-327. This is perhaps the only study that deals at length with any aspect of Smith’s thought. 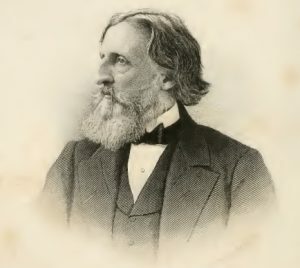 [ii] E. Smith, Henry Boynton Smith: his Life and Work (New York: Armstrong and Son, 1881), frontispiece. [iii] Smith, Henry Boynton Smith, p. 65. [iv] Page from H.B. Smith’s notebook. “University Documents”, UTS: Henry Boynton Smith Papers, series 3, box 3, item 4. The Burke Library at Union Theological Seminary, Columbia University in the City of New York. Photo by A. McLaren. [v] After Hegel: German Philosophy, 1840-1900 (Princeton, NJ and Oxford: Princeton University Press, 2014), pp. 2f. and 15. [vii] A.G. Aubert, The German Roots of Nineteenth-Century American Theology (New York: Oxford University Press, 2013), chapter 1, esp. pp. 28f. See also, eadem, “Smith and Church history,” 318f. Cf. also her suggestive remarks at the end of the article about Smith’s role in translating German historiography to American contexts. [viii] Page from H.B. Smith’s notebook. “K.L. 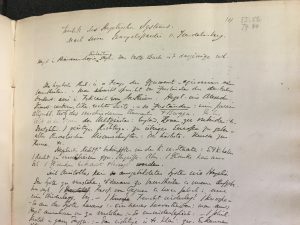 Michelet’s Lectures: Geschichte der Philosophie von Kant zu Hegel and Trendelenburg’s Lectures: Kritik des Hegeliche Systems”, UTS: Henry Boynton Smith Papers, series 3, box 1, item 2. The Burke Library at Union Theological Seminary, Columbia University in the City of New York. Photo by A. McLaren. 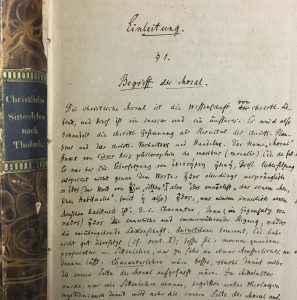 The work in question by Hegel is the Encyklopädie der philosophischen Wissenschaften im Grundrisse (Heidelberg: A. Osawld, 1817). [ix] Spine and page from H.B. Smith’s notebook. 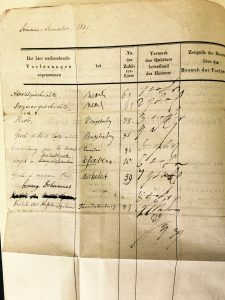 “Christliche Sittenlehre nach Tholuck.” UTS: Henry Boynton Smith Papers, series 3, box 1, item 1. Photo by A. McLaren. [x] See, for instance, his Introduction to Christian Theology; Apologetics, ed. W.S. Karr (New York: Armstrong and Sons, 1893), 67-70. [xi] Page from anonymous student notebook. “Systematic Theology, 1857: Anon., vol. 1,” UTS: Henry Boynton Smith Papers, series 4B, box 2, item 1. The Burke Library at Union Theological Seminary, Columbia University in the City of New York. Photo by A. McLaren. Andrew McLaren is a Ph.D. candidate in the Department of Religion at Columbia University. His dissertation research focuses on a historiographical text about conquests and politics in the first three centuries of Islam, as well as its reception in various geographical and linguistic contexts and understandings of history. More broadly, he is interested in the function of the writing of texts in social history, particularly in historiography, theology, and law. A slightly different version of this post also appears on the Burke Library Blog. This entry was posted in Summer 2017 Interns on August 25, 2017 by Andrew McLaren.